Why Create A New Messaging App With Blockchain? All over the world, companies are working and competing to become the recognized blockchain messaging app on the market. Whoever does win that race will just have to compete with WhatsApp or Facebook, so why is it important to develop a better messaging application that uses blockchain? For starters, there are several limitations with the apps currently in the market and they are also missing some huge features that blockchain wouldn't dream of missing. For instance, current messaging apps don't tend to deal well with managing messages in large groups. Most messaging applications also don't have group video conferences available. FaceTime and Skype have a strong following as a result and consumers are expecting new messaging apps to change sooner or later. These apps also dramatically undervalue the use of the GPS receiver in everyone's phones. Location services can be used for a lot more than they have been, and security and encrypted messaging can be a huge problem. All of this and more are why entrepreneurs are working to develop new apps using blockchain. As of this writing, some have already hit the market and others are still in development. However, one of the following 5 applications will transform messaging into a new generation. The Canadian mobile messaging company was among one of the first VC-backed tech companies that actually raised money in an ICO. Kik had raised over $120 million in venture funding before its ICO. 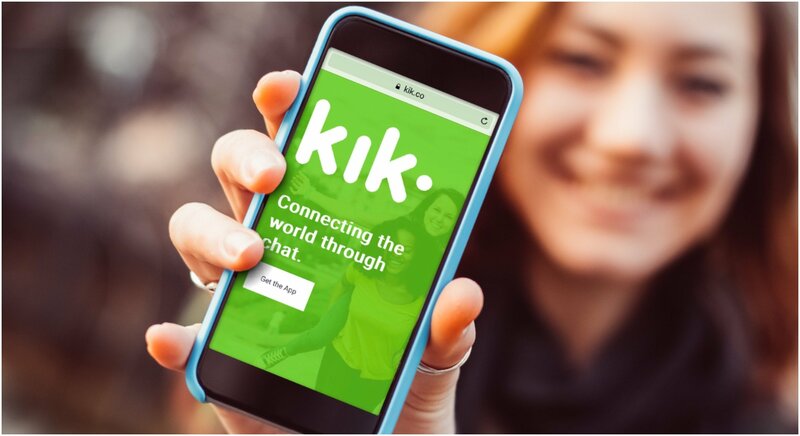 The company may have gotten its start in messaging, but Ted Livingston, Kik's CEO, announced the creation of a cryptocurrency, "Kin" specifically made to boost engagement of Kik's users. However, the direction of the company will be moving to a new blockchain designed to better suit its goals for building a new digital ecosystem for users. It's not focused on messaging. In fact, the new blockchain designed for Kin will be created through a process called "forking." That means is an open source software program will split off the new blockchain from the source code to create a new "road." Livingston is hopeful the blockchain can help the company better compete with Facebook and Google as an alternative to data-heavy systems. At the moment, it's unclear how Kik messaging will develop going forward, but the expectation is their focus will mostly be on using blockchains to create an ecosystem rather than beat out the remaining 4 apps.